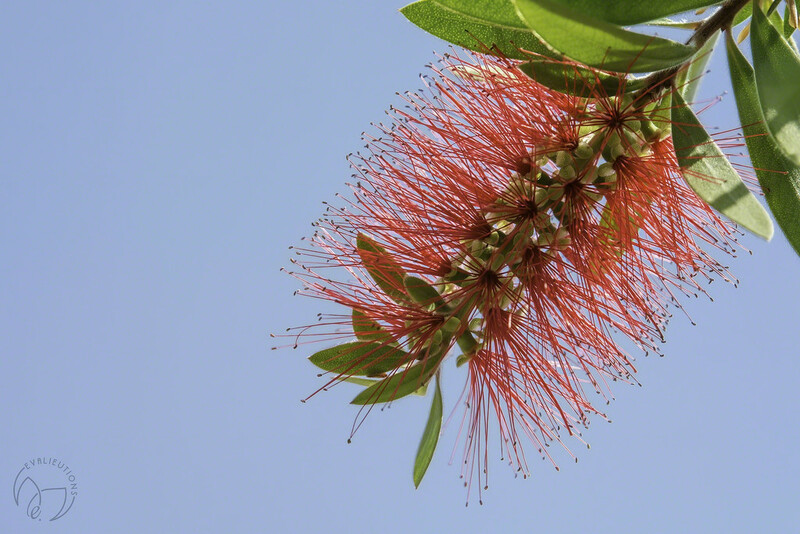 When all else fails, I can look to the bottle brush tree for something to photograph. Either the blossom or the bees that are usually all over it. I think they are such a fun thing to photograph. If you look closely, you can see why the bees love them so much; they are covered in nectar! Beautiful just love the colours! So delicate, wonderful photographed against the blue, blue sky. What a lovely composition...seeing the angle this way is really clever. Striking colors and just ever so tempting for the bumbles. Lovely composition and pov. Great detail - so delicate looking. The bottlebrush is a bee magnet! Pretty shot! Thank you all so much for your lovely comments. I appreciate them so much! It really does look as though you could do a bit of cleaning with this.